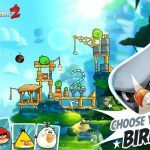 Rovio has finally returned with the second iteration of its wildly popular mobile game franchise – Angry Birds 2. It’s the first proper sequel to the game that took the world by storm just a few years back, and this title, which is now available for Android and iOS devices, comes with a wealth of new features. You still get the same mechanics in a lot of areas, but certain mechanics such as spells, the card system, and the Destructometer debut on this game. And certain levels are now more difficult than ever before, while the Piggies are nastier than they used to be. Levels are also randomly generated, with no two stages looking the same as each other. 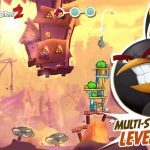 All in all, there’s a lot more replay value on Angry Birds 2, and a lot more tips and tricks to share. 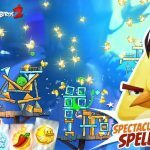 We already filled you in on some general tips, an overview of the spells in the game, as well as tips on all characters, but this Angry Birds 2 strategy guide goes a little further, as we shall now offer several more tips and tricks you can use in all occasions as you strive to finish with three-star levels. The Destructometer measures how well you’re able to wreak havoc on levels – broken wooden planks, crushed pieces of stone, and shattered shards of glass all keep that Destructometer running. And here’s how you can fill it up quicker – filling it up on time is important, as you run the risk of running out of cards at any point in the level. First thing you can do is to aim at the bottom of a structure. It all depends on your roll of birds, but you would want to use a bird that can easily crack the material you’re aiming at. For example, Chuck would be best against wood, while Blues would be ideal against ice. Golden Pigs will also speed things up when filling up the Destructometer. And since there will be more than one structure per level in most of them, you’ll want to go for those with more TNT crates before the other ones. We already touched on Angry Birds 2’s heroic characters in a couple other strategy guides, but we’ll be telling you more about each of the characters below, with more emphasis than before on their weaknesses, aside from their strengths. Blues may be strong against ice, but they’re virtually useless if you have them firing at stone or wood structures. This is arguably the weakest character on your roster, and not Red. Red, while lacking in fancy skills, is best used against structures that have a weak base, or tall structures. Chuck, as we said, is best against wood, but he can also crack thin glass obstacles. He is, however, completely useless against stone. Bomb, as usual, is useful against all materials, and you would want to have him explode next to TNT crates – that’s another great way to fill up your Destructometer quickly. Matilda is the egg-laying bird and can use that egg to destroy castles located on low and high ground alike. Terence is the big, heavy bird that uses his sheer size to destroy stronger rock and wood structures. Lastly, new bird Silver flies in a loop and destroys all objects, regardless of material, that she comes into contact with. Gems are Angry Birds 2’s premium currency, and you can use them to get spells. Other ways to get more gems is by connecting your game to Facebook (you get 70 free gems), sending gifts by collecting gift boxes and sending them to friends (10 free gems), completing daily quests, playing in the Arena, logging in daily to redeem daily rewards (you can double that by watching ad videos), and by completing the first chapter of Angry Birds 2 within the game’s first 13 days from release. That last method won’t be around for much longer, but you can get 40 gems and other prizes as part of the “Early Bird” prize! One thing gamers have complained about is the new mechanic with lives. This isn’t like the first-generation Angry Birds titles where you can lose a level so many times but still be able to replay it again and again. So what’s to do when your life counter is zeroed out? Simply head to the map, tap on the heart icon, tap on the Play icon, and watch an advertisement video so you can get one free life. One neat trick you can try is waiting till there’s just one minute left, watching a video when the timer is at 30 seconds, and getting two free lives in the process – that’s one refill, one reward. You can also watch an ad video to improve the chances of earning an extra card once you’re at the last stage. You can take part in tournaments and score as many points as possible on Arena mode. 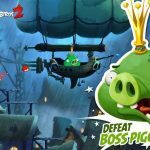 This adds a MOBA (multiplayer online battle arena) element to Angry Birds 2, as you can compete against other players and destroy as many structures as you could with the birds you’ve already unlocked on single player. The best thing to do here is to use a bird that’s most suited to take out the structures you’ll be encountering. Using the example above, use Blues for ice structures or Chuck for wood structures. Score as many points as you could by playing the endless level (you get one per league). And make use of the Destructometer tips we told you about earlier – attack a structure’s weakest spot, which is usually the bottom part, to fill up that meter rapidly. Lastly, take note that the first three stages are a walk in the park, where you may need just one bird to complete each of them, but the ones that come after are substantially more difficult.